Ranveer Singh starrer ’83 release date postponed! Ranveer Singh impressed everyone with his outstanding performance of Alauddin Khilji in Padmaavat. 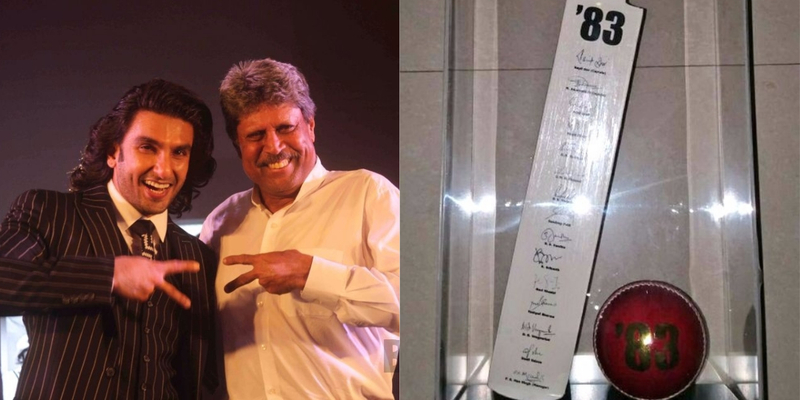 After this, the actor has an interesting line up of films like Gully Boy, Simmba and the “83”, where he will portray former Indian captain, Kapil Dev. But looks like the audience will have to wait for some time to witness Ranveer in the shoes of Kapil even as the makers of the film have shifted the release date of the film from April 5, 2019, to August 30, 2019. Well with this, we get a hint that after Simmba, Ranveer might work in musical drama FAUJIA with director Maneesh Sharma and Aditya Chopra. Directed by Kabir Khan, the film will present the story of skipper Kapil Dev and the Indian national cricket team when they left a whole country energized after winning the 1983 World Cup. Singh has always impressed us with his performances and we are sure he will do perfect justice while portraying Kapil Dev. Lets us know in the comments below how excited are you for Ranveer Singh and Kabir Khan’s ’83? Honey Singh’s revamped his own song Haye Mera Dil and it is just amazing! Junglee: Vidyut Jammwal gives us SERIOUS fitness goals!